When two people share the same goals, they can disagree – even strongly disagree – and still have a productive discussion about how to reach those shared objectives. As comedian and author Owen Benjamin explains, the problem with America today is we no longer share the same goals, and that’s tearing us apart. A half-century after his death, Martin Luther King, Jr. is as revered as ever. But have we been following his example, or merely paying lip service to his ideas? Jason Riley, Senior Fellow at the Manhattan Institute, weighs in. A close friend wrote this blog post for Seraphic Secret. Because the author is Conservative and works with intolerant Progressives, it is being published anonymously in order to protect life, limb and employment. 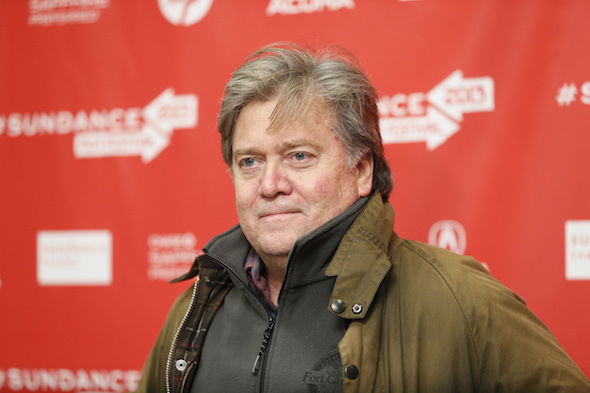 A host of the usual suspect journalists, liberal activists, and all the same pundits who called this election wrong from the very beginning are now having a collective freakout about President-elect Donald Trump’s appointment of Breitbart News co-founder Steve Bannon as chief strategist and senior counselor. These usual suspects say all Americans, but especially racial minorities and Jews, should be alarmed that a man they believe is a racist quasi-leader of the so-called “alt right” movement has been put into such an influential position. Once again, the usual suspects are wrong. Dead wrong. Sunday, when morning television is wall-to-wall news programs, Benghazigate was a no-show, except on Fox, where Chris Wallace made this emerging scandal the focus of his Sunday panel. My friend, Joel Pollak, over at Breitbart.com, reports on a media blackout. The mainstream media’s silence on the Benghazi disaster reached deafening levels on Sunday, as hosts of four out of the five major news shows—with the exception of Fox News Sunday—failed to raise the issue. Only Bob Schieffer of CBS gave it serious consideration, and only after it was raised by Sen. John McCain. When the Benghazi issue did surface, other than on Fox, it was invariably brought up by Republican guests, and then deflected by the hosts, who largely ignored new stories this week that implicated the White House in the decision not to intervene to save the life of U.S. Ambassador Chris Stevens and other American staff. If a free press is the hallmark of a free people, one must conclude that the mainstream media — NBC, ABC, CNN, and CBS — have voluntarily surrendered their freedom in favor of becoming propagandists for one man, one party. 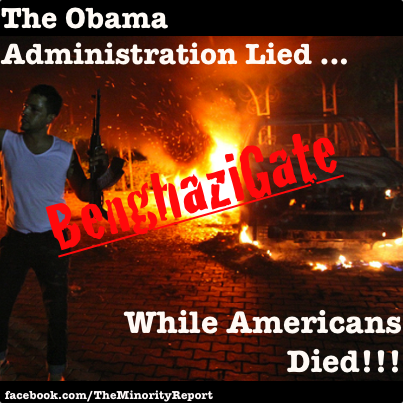 The media are not stupid; they understand that if the truth of the Benghazi massacre emerges — Obama’s dereliction of duty, and the subsequent cover-up — Obama will lose the 2012 election by a landslide. As it is, Obama will lose by 5 to 8 points.